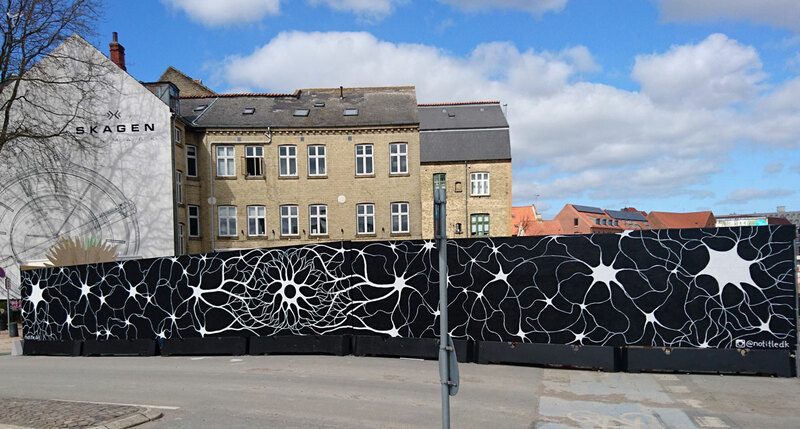 Neural City (Byens Nervebaner) is a two part mural project in the Danish cities of Copenhagen and Odense. The paintings reflect the structural transformations in these two cities and the impact on the mental landscape of the inhabitants. 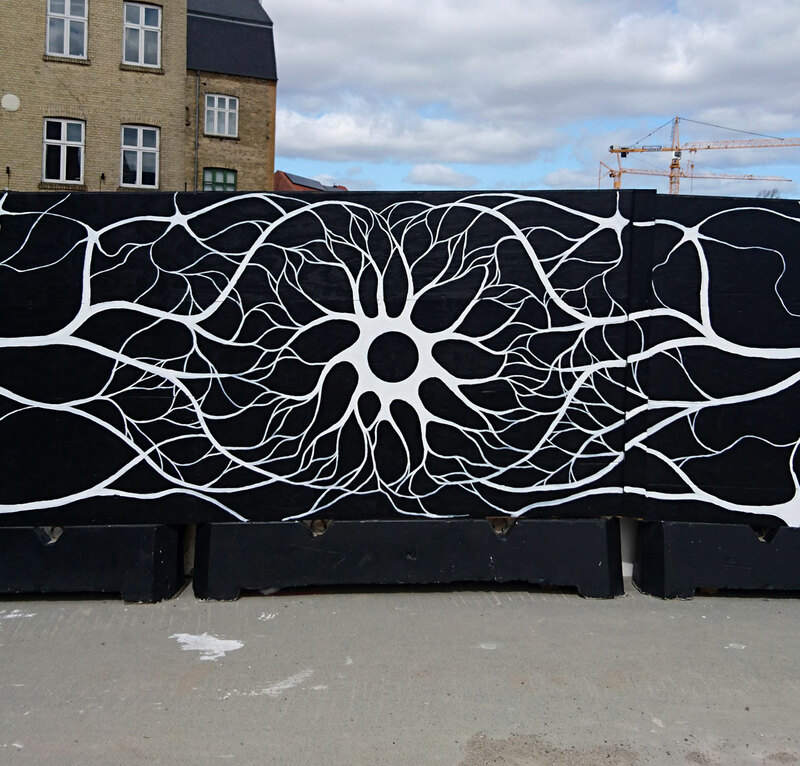 This location of the mural is Torvegade in the city of Odense, Denmark. 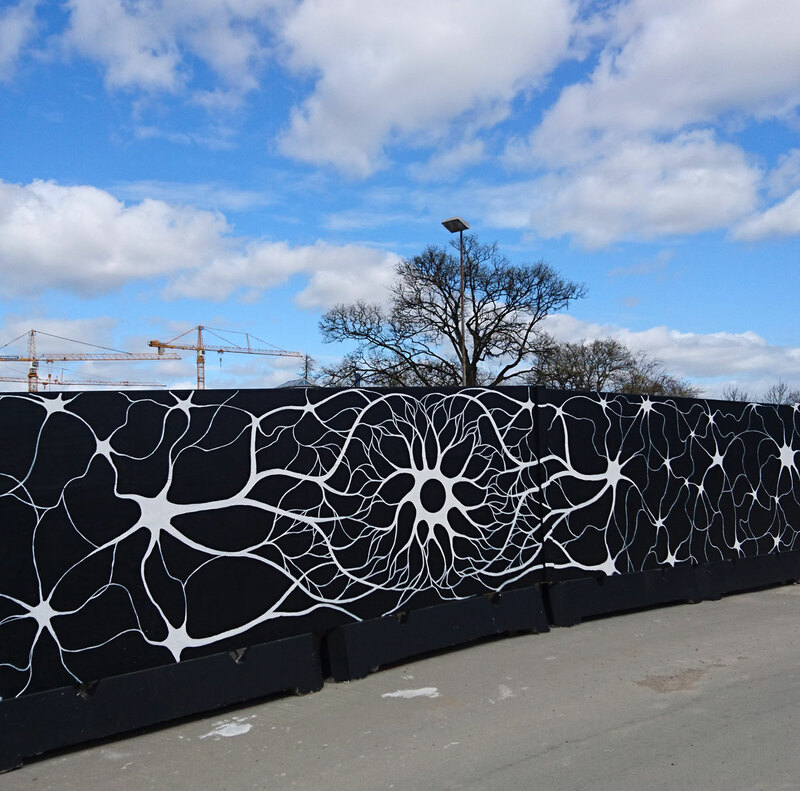 Odense is undergoing heavy construction in the central part of the city. 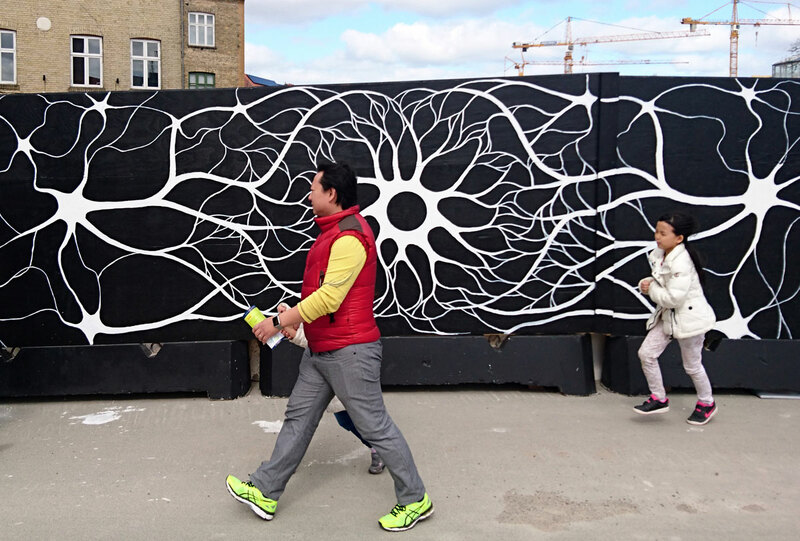 View the mural in Copenhagen.